Jesus came to the world to give us life. He didn't come to bring us rules, or judgment, or fear, or work. Jesus came to give us life in its fullest form. 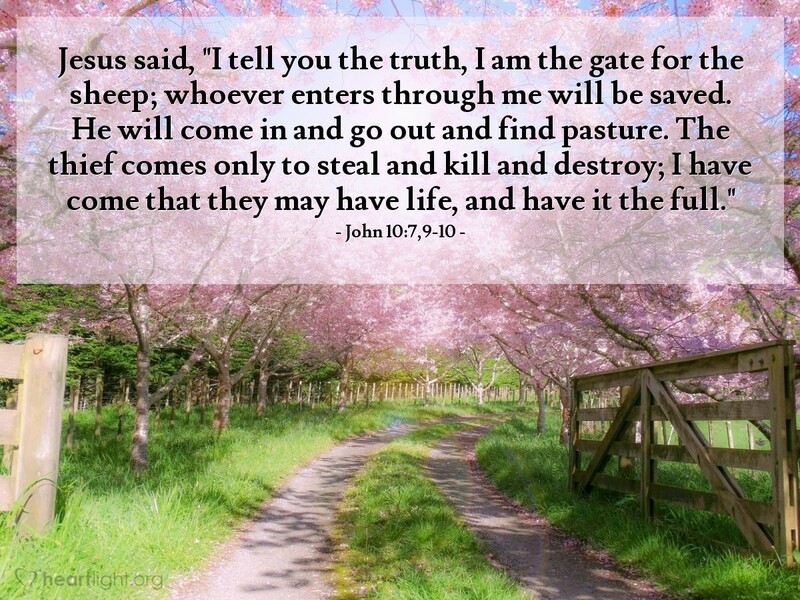 While we know that this is promised to us when we go to be with him for all eternity, John wants us to clearly hear that Jesus' promise to give us life begins right now! Not JUST life later, but also life NOW! Almighty God, I confess that sometimes I play life too carefully, not risking failure and loss and not reaching for your opportunities and your concerns. Give me a heart that yearns to live life in all its fullness by seeking after your will, Jesus' example and the Holy Spirit's leading in my decisions today, and always. Through the name of Jesus, I ask this to your glory. Amen.